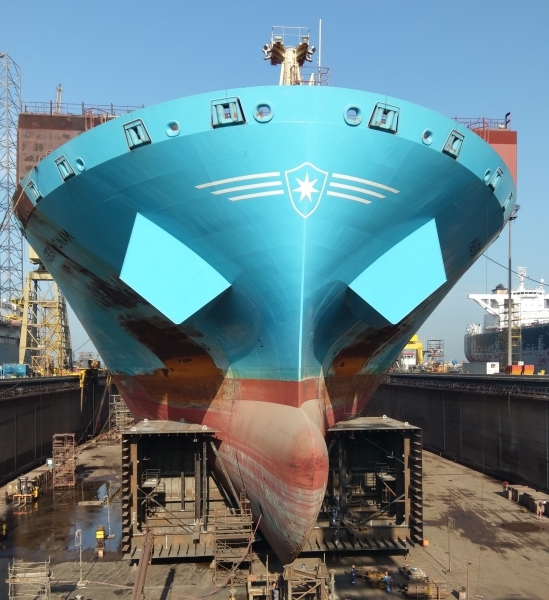 A view of her bow at Dubai Dry Docks. Welding and fitting of additional buoyancy tanks is in progress, in order to make the passage to the breaking yard safer, as the remaining structure of her burnt-out fore cargo area is in very precarious condition. Photo by (...), used with permission. Thanks for your comment, Marek. This photo has been shown 2,450 times since it was added to the site.